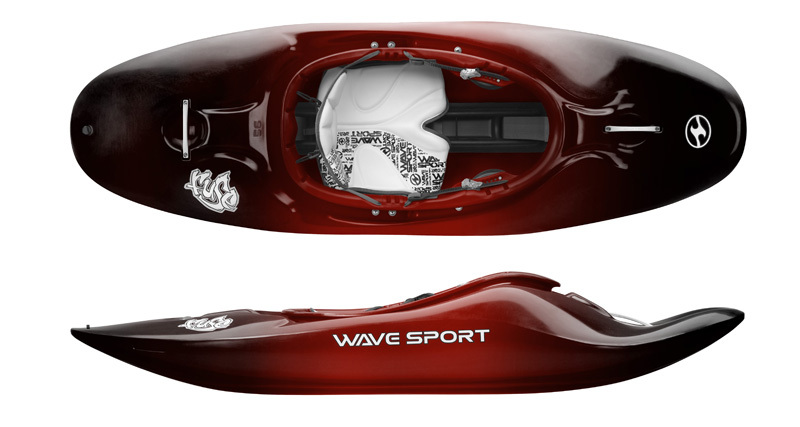 The Wave Sport Fuse is a river running playboat kayak ideal for a range of abilty paddlers, that is available in a range of sizes to fit almost everyone. The Wave Sport Fuse is an ideal blend of river runner and freestyle playboat kayak. Capable of satisfying paddlers from beginner right through to expert, the Wave Sport Fuse immediately feels right. As you get into the cockpit the seating position feels good, the cockpit spacious but snug and everything is right where you'd want it to be. Outfitted with Wave Sport's Black Out spec you get all the adjustability you need combined with the outstanding quality you expect from Wave Sport but at a great value price. For any paddler who likes to do a bit of both, the Fuse is a great option as it leans a little more towards being a playboat than a river runner, but is still perfectly adept at doing both very well. 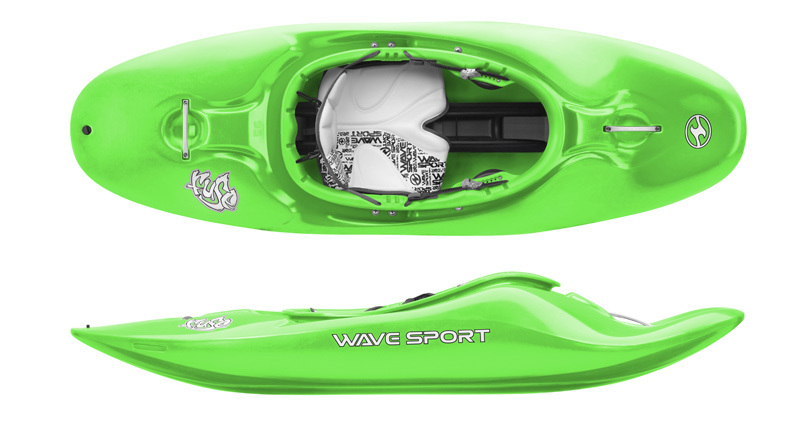 The Wave Sport Fuse has plenty of well balanced volume that delivers the pop you need for tricks, while the flat bottomed planing hull design is stable and forgiving making it great for down river performance through features and rapids. In a world where many of us have mulitple boats to satisfy everything that we like to go and do, the Wavespot Fuse fits very nicely as a boat that ticks many boxes. For those of us who don't have the luxury of owning a variety of boats due to space, budget or transport issues, the Wave Sport Fuse could be your new best friend. The Wave Sport Fuse is available in 3 adult sizes - 48, 56 and 64 with the largest model having almost twice as much volume as the smallest, so getting the right Fuse for the best fit really shouldn't be a problem. The Fuse is also available in a smaller junior size that's great for kids looking to develop their freestyle skills. 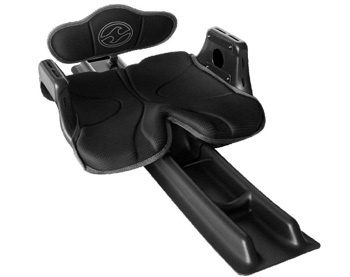 Easy to install Wave Sport Balck out Hip Pads Kit gives you a snug fit and more control. 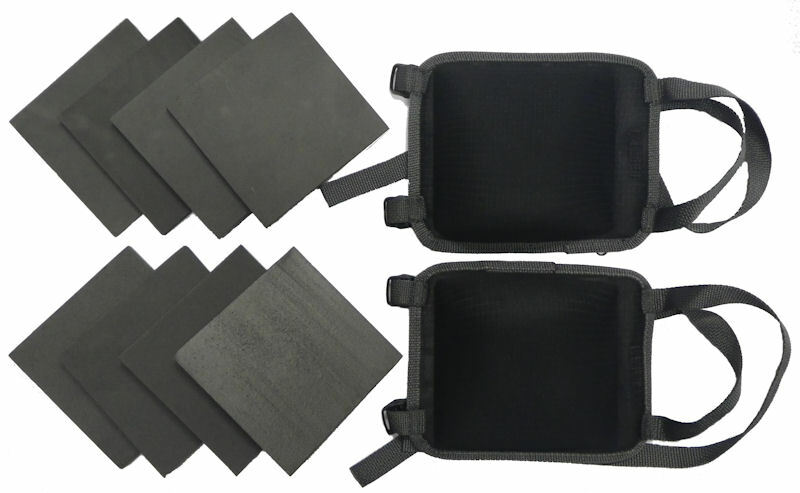 Comes with a variety of shims for the ideal fit. Keep your kit and or sandwiches dry while out on the water. We stock a range of different sized drybags. 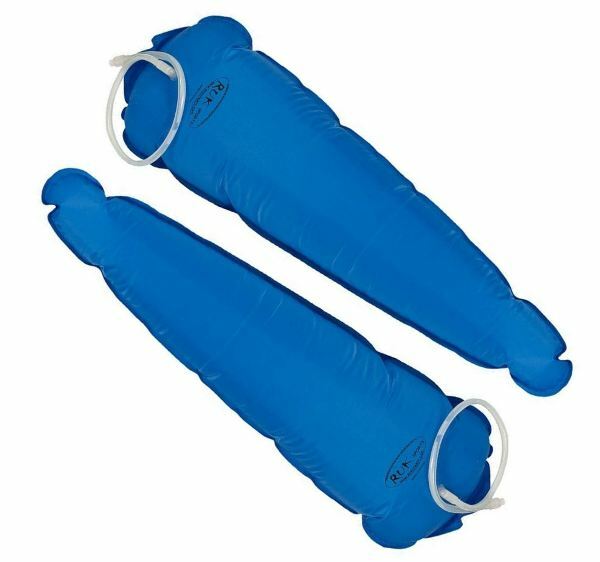 Sold in pairs, additional buoyancy bags for your new kayak. Essential safety kit for white water kayaking. The Wavesport Fuse is available for delivery thoughout England, Wales, Scotland, Northern Ireland & Ireland. The Wavesport Fuse is available for instore collection from Norfolk Canoes or from any branch within the Canoe Shops Group.